Take a look at the rectangle in this picture. I understand that M stands for the whole amount of participants (it is like "S" for Singles). X stands for mixed tournaments. What do "32,16,16" (in the Shenzhen tournament) mean? I have been told that for example in the Shenzhen tournament the qualification board can have 16 female players and only 4 may qualify. It means that each player must win two matches to enter in the competition. But, how do you know that only 4 can qualify? 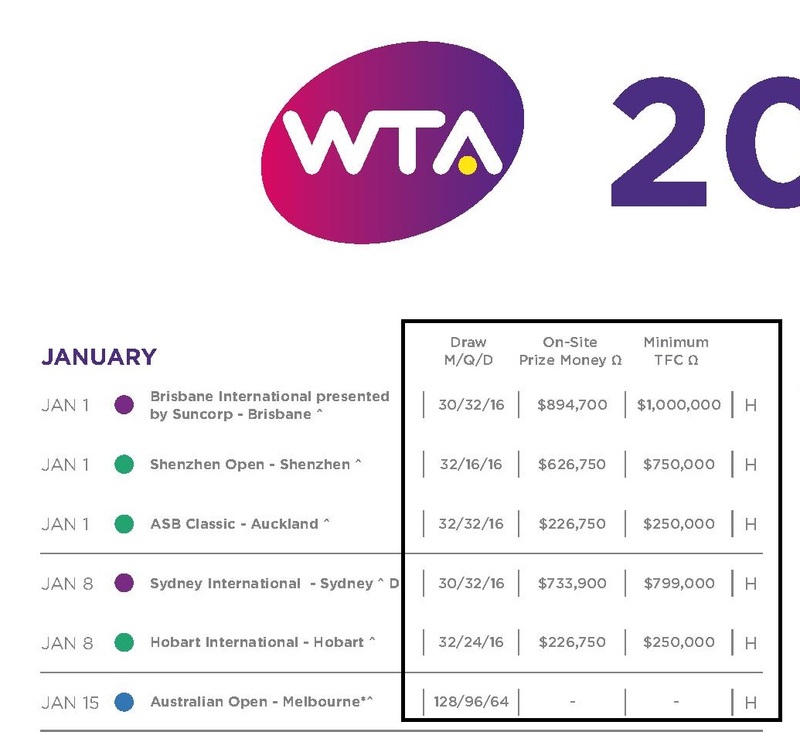 It is not written in the 2018 WTA calendar. Moreover, how come in the Australian Open the 2018 prize money is not showed? That means prize money is not decided yet for Australian Open, which will be done through Prize Money Formula Rule (see: WTA 2018 rulebook page 167 for more information). Not the answer you're looking for? Browse other questions tagged tennis terminology wta or ask your own question. 10 title at Montecarlo for Nadal is a record?